If your Apple products aren’t covered by complimentary support, an AppleCare Protection Plan or AppleCare+, you can purchase a single incident of support. To purchase pay-per-incident support, call 0800 107 6285. 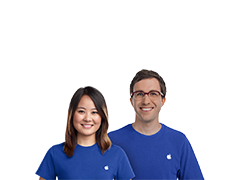 Purchase a single incident of support for help troubleshooting Apple products such as AirPort devices, Apple TV, iPad, iPhone, iPod or Mac computers; Apple operating systems such as iOS, OS X or OS X Server (GUI only); Apple-branded consumer apps such as FaceTime, Find My iPhone, iLife, iTunes or iWork; or Apple-branded pro apps such as Final Cut Pro and Logic Pro.